1200 combination of CIT & scar revision at 16 months - "Less is more"
This patient’s goal was to lower the hair line and soften its appearance. In 2007, we treated this patient with a combination of CIT grafts and a scar revision which yielded about 1200 grafts all together. 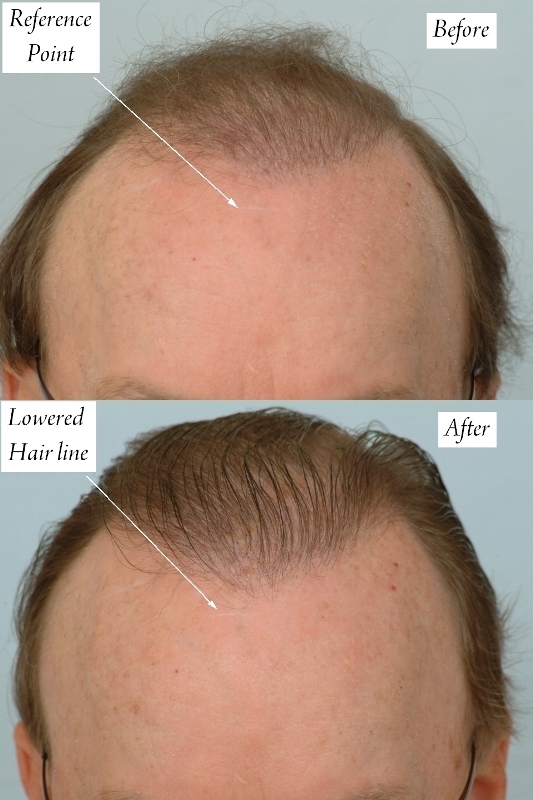 To soften this patients hair line, Dr. Cole used smaller follicular units that were placed at a density of about 35 follicular units per square centimeter. The less is more has been the approach to produce a soft and mature frontal hair line on this patient who is approximately 50+ years old. This approach also gives a full appearance despite the small amount of transplanted grafts. 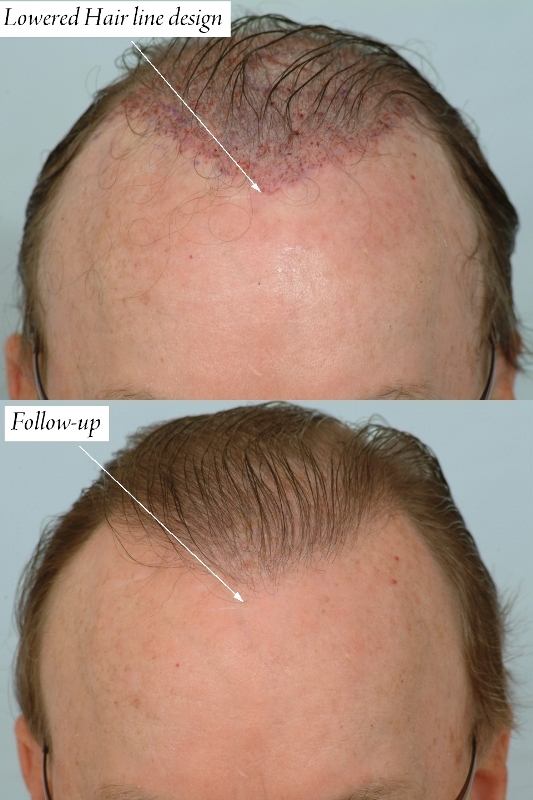 » This patient’s goal was to lower the hair line and soften its appearance. This is “naturale” & he can probably add more later!